PLEASE NOTE: The Receptacle is a component of the Afex™ System. The receptacle will not be of use without the entire system. 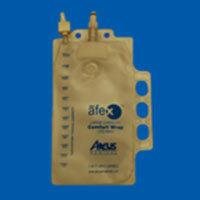 Afex™ Receptacles offer a different, more comfortable way to achieve urinary incontinence management. 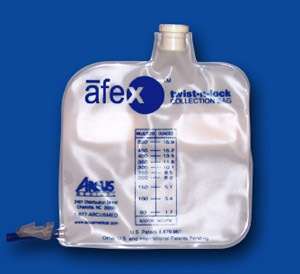 Afex stands for: Adhesive FREE External Condom Catheters for men who have urinary incontinence. 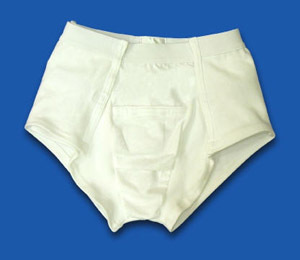 The innovative design offers a loose fit and sufficient ventilation for a dry and comfortable experience. 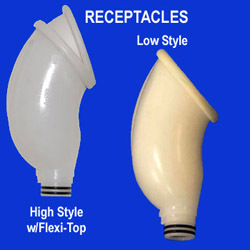 Afex Receptacles are available in two styles: High Style with Flexi-Top and Low Style. 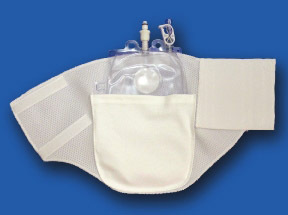 One size fits all and either are applicable for moderate to severe incontinence. The High Style w/Flexi-Top is best for users who stand for long periods of time or engage in high level activities. It's also recommended for night time use. The Low Style offers comfort and support for users who sit for long periods of time. 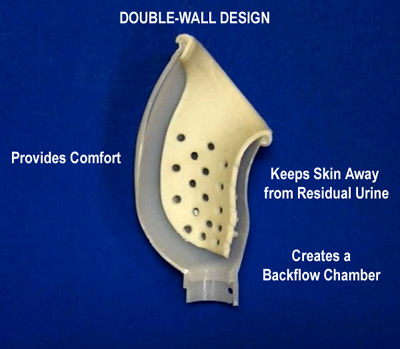 The Receptacles have a soft double-walled liner with drain holes to protect the skin from residual urine and backflow. 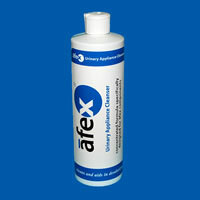 To prevent infection and irritation, and to maintain healthy hygiene, Afex™ recommends cleaning the Receptacles daily using the Afex cleaning Solution and the convenient Afex™ Cleansing Container with built-in drain holes. The Cleaning Solution is specially formulated to safely clean and deodorize all of the Afex™ Incontinence Management System's components. Extra or replacement components can be purchased separately by choosing from the selection on your right.